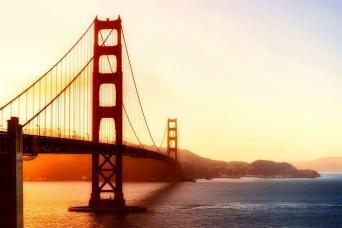 San Francisco is one of the most versatile and interesting cities in the United States. 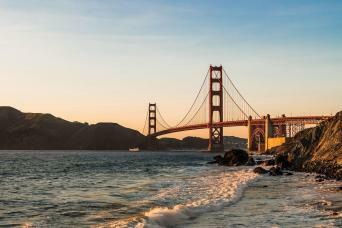 If you're planning a trip to the "City by the Bay" this season, get ready for delicious food, sparkling bay vistas, eclectic shopping and, of course, the iconic Golden Gate Bridge. Whether this is your first of 50th trip, you'll find many fun and exciting things to do in San Francisco. From Union Square to Fisherman's Wharf, there are so many things to see in San Francisco. 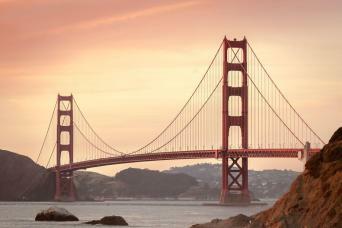 San Francisco offers visitors a myriad of shopping opportunities, eateries and attractions. You can drive down Lombard Street, the street with the most curves in the United States; explore the many Latin American and Mexican restaurants in the Mission District, take a walking tour of Chinatown or ride a picturesque and intriguing San Francisco cable car. You can even take a boat out to the eerie former prison island of Alcatraz, which hasn't changed much since it was abandoned in 1972. The possibilities of places to visit in San Francisco are almost endless. As exciting as the city can be, there are also a number of interesting day trips from San Francisco within a short drive. Sausalito, located just across the Golden Gate Bridge, offers intriguing art galleries, seafood restaurants and spectacular views of the city skyline across the bay. 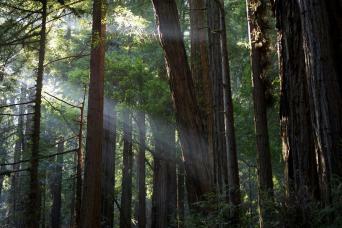 Muir Woods, also on the north side of the bridge, offers a peaceful oasis and a chance to glimpse at the majestic redwood trees. 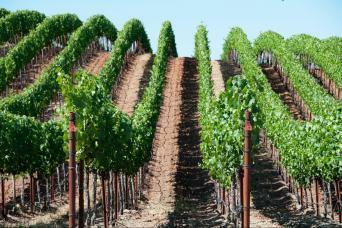 You can even take one of the full day San Francisco tours that visit the northern California wine country of Sonoma and Napa Valleys. 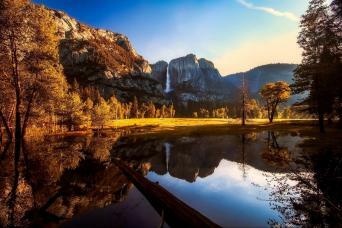 You can feed your adventurous side with a trip to the awe inspiring Yosemite National Park. If you're headed to the Bay area this season, you won't have to be concerned about what to do in San Francisco. The city offers plenty of interesting and intriguing sights. If you're visiting San Francisco this year for vacation, you won't have to worry about running out of things to do. One of the best ways to explore the city is on a Gray Line sightseeing tour. Such San Francisco city tours give you an opportunity to get a feel for the lay-out of the city and sample those sights you'll want to return to later in your stay. Gray Line San Francisco offers a vast assortment of sightseeing options. You can opt for one of their San Francisco GoCar tour, a San Francisco nightlife tour, a tour of the major attractions in San Francisco, a bay cruise or your classic San Francisco Tour. 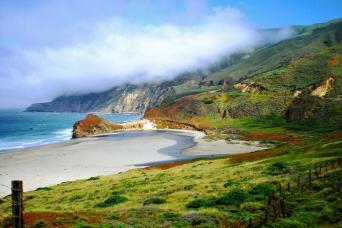 One of the most popular ways to get to know San Francisco is with the Hop-On Hop-Off San Francisco Bus Tour. 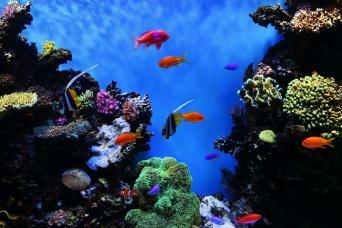 This one or two-day tour allows you to visit the attractions that interest you the most and spend as much time--or as little time--there as you'd like. The tour's 14 stops include Fisherman's Wharf, the Golden Gate Bridge, Haight-Ashbury and Golden Gate Park. It's a convenient and relaxing way to see the city. 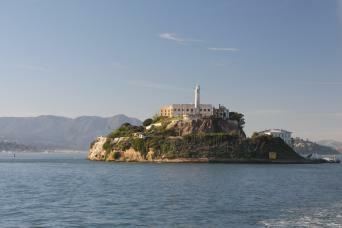 Gray Line San Francisco has been offering the best sightseeing tours in the Bay area for more than 25 years. We've even been featured on "Best of the Bay TV" as well as several other local television stations. We love our city and we want to share our San Francisco with you. You may have heard of the term "Farm to Table", allow us to you introduce you to the trailblazers of this foodie movement.